Use this calculator from the USPS to determine shipping costs. Know exactly how much to charge customers for shipping or include the appropriate shipping costs in your product price with the USPS Shipping Calculator. This online tool is your one-step stop for anticipating and planning for shipping charges. The USPS Shipping Calculator is a great tool that makes it simple to key in different inputs such as destination, zip codes, dates, service level and weight to compare prices and delivery times. It is also especially useful as it eliminates any guesswork around shipping rates and allows you to easily compare your shipping options. This page allows you to calculate shipping rates for both your domestic and international shipments. Note: If your business mailings are pre-sorted, you can find your shipping costs using the USPS Business Price Calculator. Choose the destination of your letter or package from the drop-down menu, enter ZIP codes, the mailing date and the contents of your shipment. Once you’ve entered the details of your shipment, you’ll need to decide how you want to ship it to its destination. The USPS Shipping Calculator allows you to choose a Flat Rate option or a shape like a postcard, letter, large envelope, package or large package. If you choose a flat rate option like Priority Mail Medium Flat Rate Box, you will be shown the expected delivery day, and the retail and online postage prices. If you choose a shape like a letter, you will be asked to enter the weight of your letter. Hit “Continue” to choose the shape that looks most similar to your particular letter. Next, you will be shown the expected delivery day, and the retail and online postage prices. At this point, you will see the pricing details for your selected shipment type. You can compare rates for other shipping options by checking “Display All Options” at the top of the page. Here, you can choose to add extra services such as Certificate of Mailing, Insurance, Registered Mail, etc. See the total shipping cost to deliver your letter or package to its destination. Navigate to the USPS Click-n-Ship page to pay for shipping and print the required postage. In order to print postage for First Class Package Service, Media Mail, Parcel Select Ground and Letters, you’ll need to use an online postage service like Stamps.com. 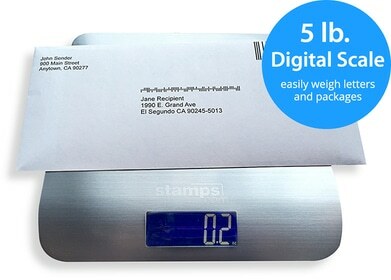 Remember, Stamps.com calculates accurate postage for all your shipments, so there’s no need for any guesswork. 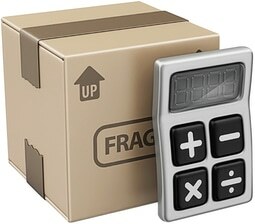 Stamps.com’s Best Rate Shopping Engine Tool makes it easy to determine the lowest shipping rate based on your pre-determined criteria such as box size and delivery time requirements. You can also calculate postage for your letters and packages using our shipping calculators.